I recently had the pleasure of speaking with husband and wife business team, Melissa and Philip Niu, founders of Parachüt, “the Netflix of camera gear.” Parachüt offers a monthly membership that allows you to rent a custom selected package of high-end camera gear with the help of a “Parachüt Pro,” for as long as you want, for one monthly fee. Of course, you can buy in at different levels, each of which gives you access to different amounts of equipment. If you really love what you’ve rented, they’ll sell it to you at a good rate. Otherwise, you return it when you’re done, and rent something else. ‘Tis a bit of genius, no? Within hours of going live, Parachüt received thousands of inquiries from across the world, including press & camera companies. In just the first few hours, thousands had opted into the wait list, with hundreds completing comprehensive applications & putting credit cards on file, indicating these customers were already all-in. Since shipping began, demand grew 1,000%+ within the first 6 months organically without any marketing spend. Active memberships have increased 350%+ and the company expects to increase that number dramatically over the next several months. I am a big fan of the sharing economy. Companies like Airbnb, Getaround, Rent the Runway and NYC’s Citi Bike program have made it possible for folks to access quality lodging, cars, designer dresses and bicycles at prices they can afford. Moreover, the whole concept of sharing resources as opposed to insisting on private ownership as the only method of access creates a less wasteful ecosystem. As soon as I heard about their company, I wanted to get to know Philip and Melissa, to see what inspired them to apply this forward thinking approach to the camera rental market. As the fourth of nine kids, Philip grew up in a household where hardship was woven into the fabric of his upbringing. His dad, according to Philip, was a good man and a gifted mechanic, who had the entrepreneurial spirit but not necessarily the skill and hard-heartedness to navigate the often cutthroat business world in which he tried to realize his ideas. For his family, this meant bouts of hunger and even occasional homelessness, but it also forged an incredible work ethic and team spirit that proved fundamental in shaping Philip’s future outlook on life. He scored a four-year football scholarship to Brigham Young University, where he became the first person in his family to earn a four-year college degree, and it was football that eventually led him to Melissa. While Philip was busy training in the school of hard knocks, Melissa was living a relatively charmed life as the daughter of a small-town mom and a federal judge, the only girl in a house of five brothers. Says Melissa, “There wasn’t a time that I didn’t believe in myself. I felt I really needed to be able to hang with the tough guys… to prove myself on every level. I wanted to be a quarterback in the NFL.” After graduating from Washington State University with a degree in Broadcast Journalism, she ended up spending a lot of time in locker rooms as a sports broadcaster for NBC Seattle. She later went on to do marketing for the Seattle Seahawks, during which time she was set up on a blind date with Philip. Melissa and Philip got married and had three kids - ironically for Melissa, all girls! Determined not to fall into the entrepreneur trap that had stymied his dad, Philip spent 10 years working for other people. But eventually, his fate caught up with him when he decided to combine the marketing skills he shared with his wife along with her photography experience to form Parachüt. The decision wasn’t an easy one, as Philip knew first hand the sacrifices that might be involved in starting their own business. But Melissa knew well the goodness, honesty and loyalty that Philip had inherited from his father, and she believed deeply in her husband’s overall abilities. Moreover, her industry contacts were extensive, and together, they saw an opportunity to help the camera industry as well as creatives and the creative industry. In the spirit of, “The rising tide raises all ships,” Philip and Melissa launched Parachüt in March of 2016. 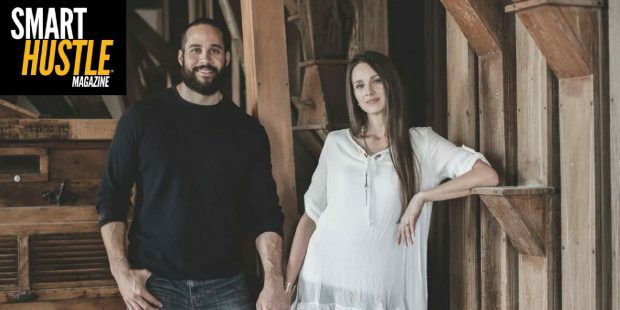 Within hours of going live, they had what they called, “a minor freakout moment,” when they were flooded with membership requests, credit card information and press inquiries from all the major business and tech publications. 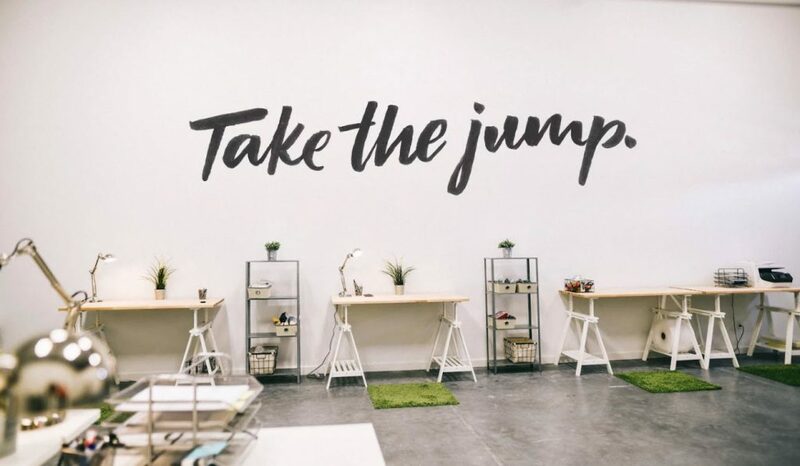 Their idea was a hit, and now they were faced with the enviable problem of having to figure out how to service all of their new customers with a business model that had never before been tested in this vertical. I asked if there were any particular business tools that helped them with their immediate challenges during their relatively quick rise to success. They are big fans of Microsoft Office 365, for the robust enterprise tools it’s made available to small businesses. For a data-driven business such as Parachüt, Outlook, Excel and One Drive have been central to their ability to scale. Of course, Melissa and Philip’s focus on creating win-win relationships is fundamental. 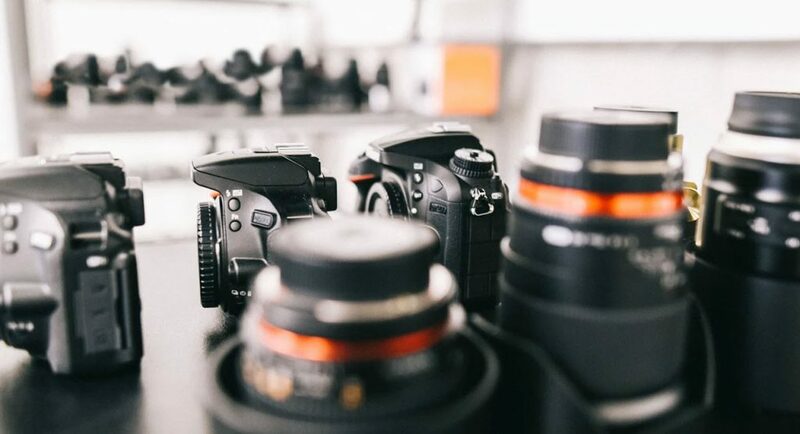 The notion of utilizing the camera rental market to help support manufacturers and retailers as well as consumers has been a key factor in developing their audience, enabling them to build strategic partnerships all around. This desire to support all players is the positive vibe I picked up from the couple from the first moments of our conversation, and it’s clear that it is central to the incredible popularity of their subscription service - Parachüt is one of those clubs that you just want to be part of. It’s been “a rubic’s cube of figuring out how to execute,” but it seems the couple’s foundational principles of Relationships, Trust and Creativity are serving this just-over-a-year-old company well. Implementing a strategy of scaling carefully, that is to say, “as fast as possible without being reckless,” Parachüt is now running its Salt Lake City based operation with a lean, five-person team. They’ve concentrated on bringing in just the right amount of equipment to make sure they don’t have a lot of extra pieces lying around, adding people to help onboard new stuff as needed. Likewise, they take the hiring and firing process very seriously. As do many successful entrepreneurs, Philip and Melissa recommend hiring slow and separating quickly, in order to protect the integrity of their family type team. Like good casting directors, they choose their people carefully, with an eye towards each one’s special skill set, then allow each person to express their unique abilities in a supportive, creative environment. Before they made their decision to start their business, Philip explained to their kids that bootstrapping would mean selling their house, moving to a smaller place, leaving their school and their friends. It would take a huge leap of faith for all of them to attempt what Philip’s father had not been able to accomplish. But once his family supported him, he knew he could quit analyzing and just do it. Get it? Just like a parachute. You can follow Parachüt on Instagram and Twitter.